Montebello Mom: Shops at Montebello KIDGITS club revamped for 2016! Shops at Montebello KIDGITS club revamped for 2016! The Montebello Fire Department firefighters, mascot, and Montebello Fire Explorers will be attending the event to share fire safety tips, and kids will even have a chance to try on fireman uniforms! There will be a special performance by teen pop performer, Koda Corvette, at 1 p.m.
Kidgits members have the benefit of exclusive access to face painters and balloon artists at each event. Montebello-Commerce YMCA will be on site to share information on the clubs’ summer programming for kids and teens, while Yogurtland will be present to distribute fun promotional items and coupons. For the past five years the Simon KIDGITS club has been a staple of the Shops at Montebello. In exchange for a $5 annual membership, kids ten and younger were invited to spin the wheel for a toy, and receive extra goodies at exclusive Kidgits events. 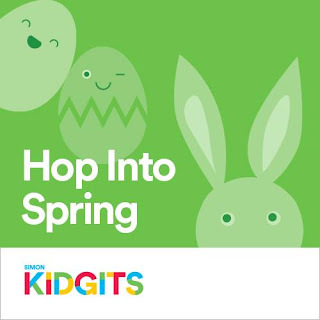 This Kidgits revamp allows more families to participate in the program, and all children are invited to participate in every activity at Kidgit events. Parents need only to stop by the Guest Services desk at Center Court to sign their children up for the Kidgits club, or sign up online. My children have enjoyed the Kidgits club from it's very start. All the events are very well planned out, and the activities keep the kids engaged and entertained. Here are some highlights from the Kidgits Easter event this past March. Kids a decorated a crown & funny bunny with the help of Shops of Montebello volunteers. 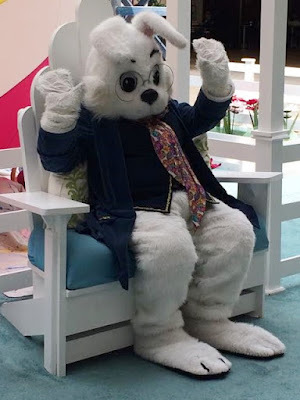 Visit & photos with the Easter Bunny! FYI: No purchase is necessary to visit the Easter Bunny, or Santa Claus. Parents can take their children through the line and tell the attendants that your child only wants to visit, no picture purchase is necessary. Yogurtland is always in attendance at Kidgits Events with coupons for 3oz. of free yogurt! Kidgit members also took home a wind-up bunny or chick as a fun Easter gift. The Build-a-Bear bunny made an appearance and posed for pictures with kids. Build-a-Bear associates were on hand to distribute a bag of cookie bites to all Kidgits members. 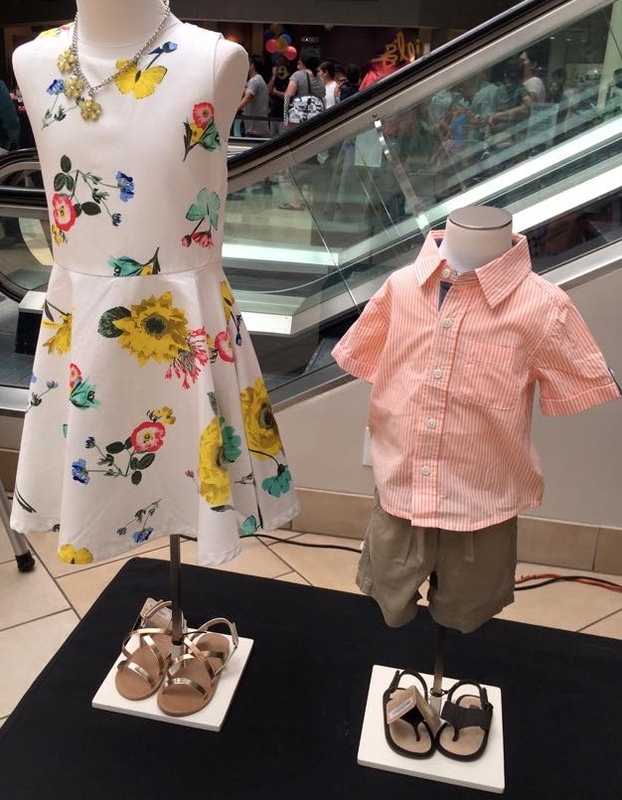 Crazy 8 had cute Easter outfits on display. After the Kidgit event I took my girls upstairs and found a perfect dress for my daughter. Crazy 8 was having a Buy-One-Get-One for 88¢ sale, so we picked up a white jean jacket to wear with her dress, and on Easter Sunday, she not only looked great, but she felt great too! 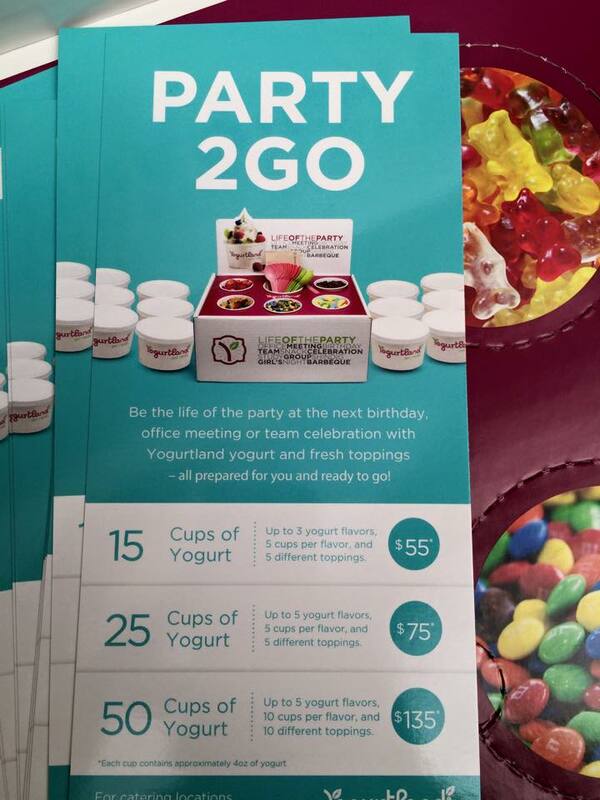 Learned something new: Yogurtland offers party boxes! The manager will personally deliver the party boxes to your event. Contact the store for details. I had to stop by the Shops at Montebello the following week to pick up some Easter candy, my two stops: The Sweet Factory for the "good" jelly beans & See's for my family's favorite hallow Easter Eggs with baby chick!